On Saturday, December 1st, 2018 the B.E.S.T. 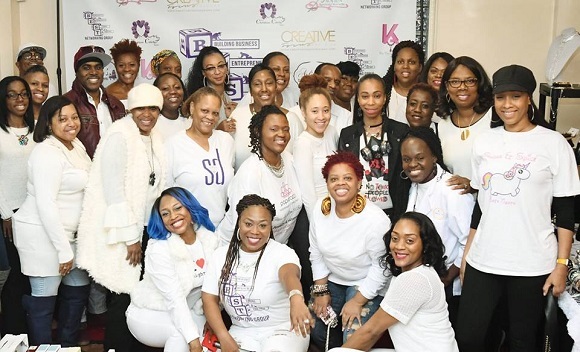 Networking Group, started by visionary and community minded Founder Marsha Duke, is sponsoring an innovative family orientated fun pop-up shop called the Winter Wonderland Experience. 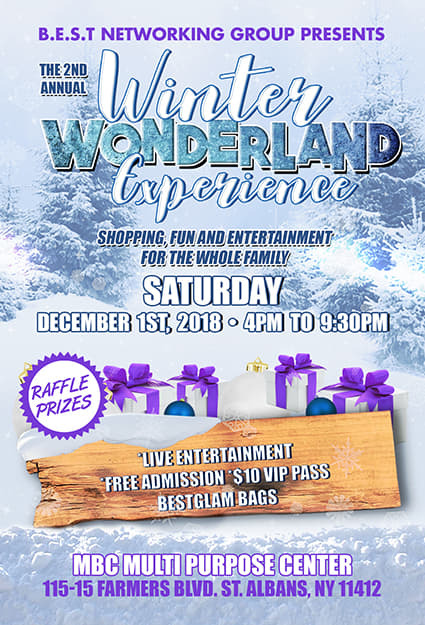 The Winter Wonderland Experience, pop-up shop promises to be a great community event for both the attendees and vendors. 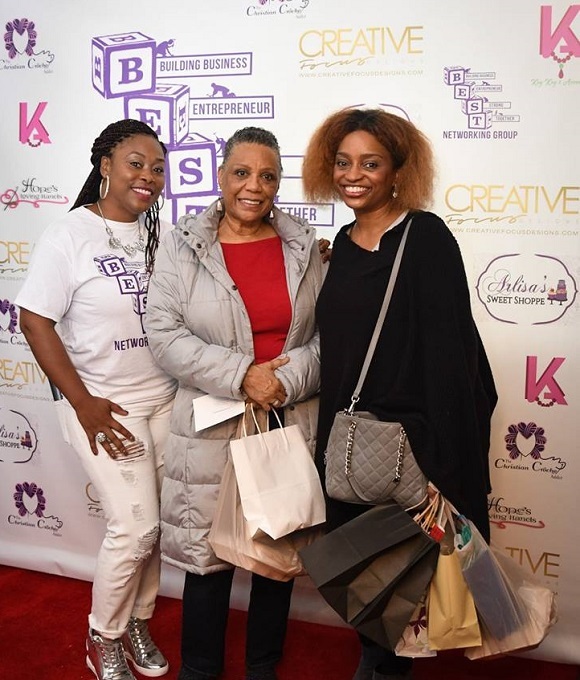 It offers a fun less stressed shopping experience with dynamic and creative entrepreneurs in Southeast Queens. The Winter Wonderland Experience, is a pop-up shop tapping into this national trend with a distinct local flavor. 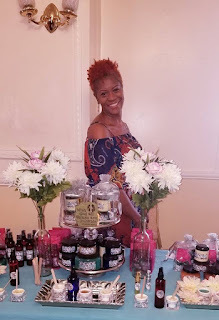 Southeast and Jamaica Queens, NY, is still a hotbed of innovative and impressive business people ready to showcase their products. Southeast Queens has a history enriched with some of the most creative artists and talented entrepreneurs in the world growing up in the area. 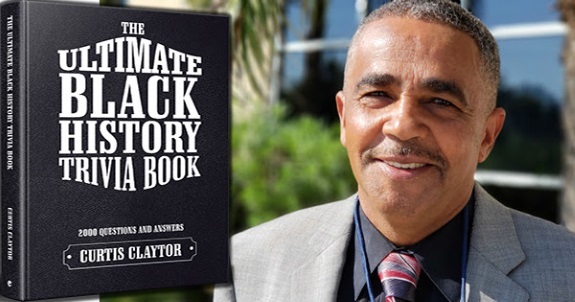 Most people in our area know jazz and hip hop artists and business people like Count Basie, Ella Fitzgerald, John Coltrane, Lena Horne, Russell Simmons, Daymond John, LL Kool J, Nikki Minage, 50 Cent and many others hail from the area. The Winter Wonderland Experience, however looks to showcase today's local talent on a broader scale beyond just entertainment to the community and visitors in nearby areas. This is the 2nd year of the pop-up shop. In the past the Winter Wonderland Experience, has showcased vendors and merchants as diverse as the health focused Regale Vitamin brand to the creative and mesmerizing desserts of "Gateau du Ciel" which means heavenly desserts in French. Pop-up shops like the Winter Wonderland Experience are a growing national trend. But you may be thinking what exactly is a pop-up shop? "A pop-up shop is any temporary space set up to do sales in a retail mode" according to an industry expert Ian Hutchinson.The pop-up shop industry is a recent emerging industry doing about "50 billion dollars" according to the American Marketing Association. The growth of the pop-up industry is being driven by the exorbitant rents and overhead expenses associated with the traditional retail or brick and mortar store business. This industry characteristically experiences small 2% to 4% profit margins on average. Most revenue for many retailers are made during popular shopping seasons like back-to-school and Christmas Holiday seasons. Pop-up shops afford even major brands like Fendi and Ikea a way to set up shop during peak selling seasons. This is a more affordable way to do specialized or themed temporary shopping outlets. It helps retailers to avoid expenses incurred during slower shopping seasons.With these driving factors in mind we can easily see how the Winter Wonderland Experience, masterminded by the B.E.S.T. Networking Group, is not only a fun event but provides a real service for the community. Community residents can shop locally patronizing emerging area businesses and enjoy an entertaining and cultural shopping experience. 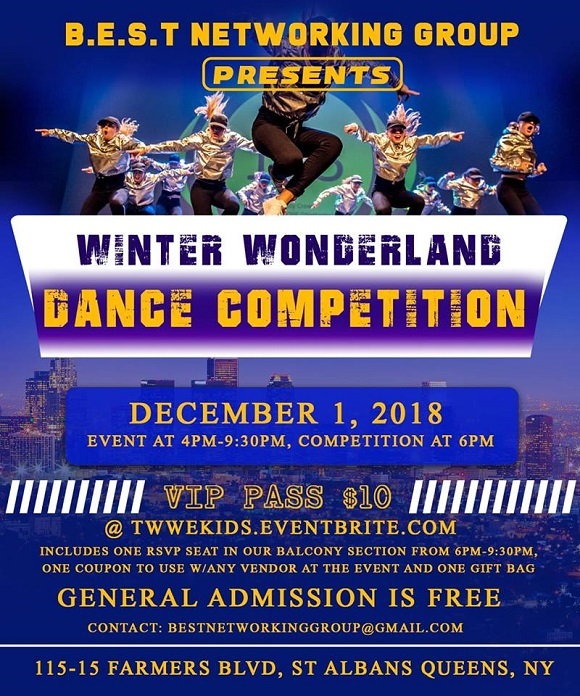 Winter Wonderland Experience attendees also can participate and watch enlivening events taking place at the pop-up shop venue like its first "Kids Dance Competition." Ms. Duke chimes in with elated assurance "this will be a great competition to come out and watch area children dance their hearts out!" Founder Marsha Duke, sums up the event as based on 3 essential goals: 1. showcase vendors talents and products to new customers; 2. Expand their clientele; and 3. take advantage of the peak Christmas Holiday shopping season to bring local shoppers and business people together in a low cost and positive fun experience. 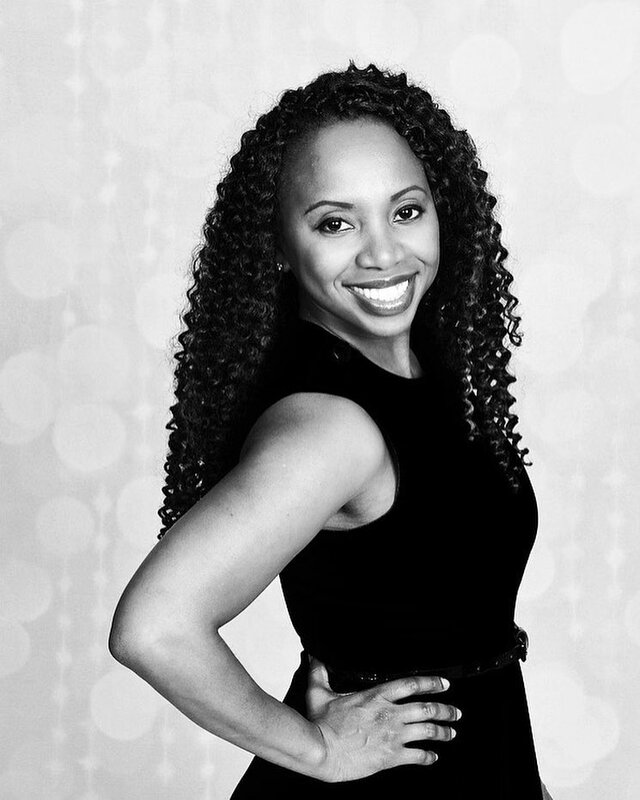 Marsha Duke further reveals "at B.E.S.T we use this time to create a successful platform for them to maximize the opportunities the season brings for the most exposure and to gain a vast amount of new customers and clientele." The Winter Wonderland Experience is creating a sense of excitement and urgency to shop during the Holiday season. Having access to creative merchants, not easily accessible during other times of the year, tends to create more of an urgent desire to buy now.